Mail your tax return to P.O. Box 518, Tiffin, Ohio 44883 or bring your information to the City tax office, located at 53 East Market Street, Tiffin, Ohio. Thurs, April 12 8:30 a.m. – 5:30 p.m. Sat, April 14 9:00 a.m. – 12:00 p.m.
Mon, April 16 8:30 a.m. – 5:30 p.m. 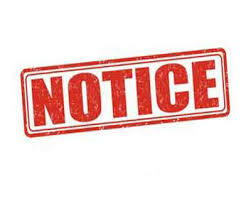 If you have any questions regarding filing of a City of Tiffin Income Tax Return, please call the tax office at 419-448-5405 during normal business hours.